1 1/4" stainless steel buckles. The neoprene zips off for easy cleaning. Elastic on one end for a snug fit. Stainless steel hardware. Various sizes for the perfect fit. Works Great 5 This girth is easy to cinch, has nice place to hold the billets in place, easy to keep clean, and best of all my horse is very comfortable in it. No rubbing, galling, slipping or bunching. The only down side is making sure you get the right size since the elastic has a lot of play and you'll want the neoprene to hit at the right spot on you horse. Really like this girth! 5 I got this for a Tucker saddle that had the Euro rigging on it when I got it. This girth is perfect for the Euro rigging. I use it for just everyday riding, and find it to be perfect for this use. The only think that isn't so great is that it's tight on my mare, but that isn't the girth's fault. My mare is huge! I love this!! 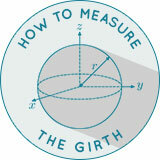 5 I only use this girth on my endurance saddles. Holds the saddle gently in place as we travel up and down slopes. Brown County, Indiana was its "proving ground" The only problem I find is that over tightening can cause rubbing of the hair. Love this!! 5 I use this Neoprene cinch/girth every day. 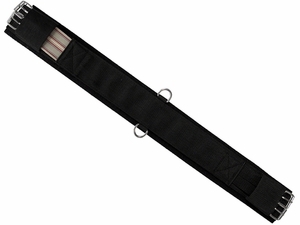 It is easy to buckle onto the billet straps, easy to clean and easy on the horses' hair and skin. I really have not had any problems, even after 5 hours of riding!